The walk allowed for expression of our spirituality; What happened to the letters we delivered to BIW and Naval shipyard in Kittery? ; Need to do more on social media to spread word about walks; We have been changed from the depth of the ocean to the stars in the galaxy; We touched many hearts along the way; The walk was well organized and people took good care of one another; We got good local media coverage along the way but were ignored by the big Maine media; Staying at the New School in Kennebunk was impactful - as was the Friends School in Falmouth; Need to get more schools involved; Having an organizing team work on the walk in advance helped make it better; Lots of singing was great; We were highly visible as we walked; Art work by Russell was wonderful but cost him $$$ out of his own pocket; Sweatshirts were impressive; Children on the walk need more supervision; Things are going to get worse in foreseeable future and our visible presence offers an alternative vision. Next Walk: It was agreed by all that we want to walk again in 2016. We will call the next walk Stop the War$ on Mother Earth and the tentative date for the walk will be October 8-22. We must reach out to Nipponzan Myohoji immediately to extend invitations to the Buddhist monks and nuns to lead the walk. Starr is going to Seattle for the Nipponzan Myohoji MLK walk in mid-January and will pass on our invite to the monks there. MB will extend invites to Jun-san and to the New England Pagoda in Leveret, Mass. Tentative Walk Route: We brainstormed the walk route and came up with a list of communities we’d like to consider walking through next time. They include beginning at Indian Island (Katie and Connie will request a meeting with Maria Girouard and Sherry Mitchell to discuss possibilities) and then move on to Charleston (Katie), Pittsfield (Jason), Augusta (Jason), Norway (Bruce), Lewiston (Bruce), Bath (Bruce), Portland (Jason) to Kittery (Jason). There would obviously need to be some shuttling between some of these places. We had been asked by Boston-area VFP to consider walking all the way down to Boston but we felt it was just too much for us. We do want to invite them to consider walking north and meeting us in Kittery or just joining us along the way as they have the past two years. Vehicles: We agreed that we would need to rent a 15-passenger van again and will need to find a covered pick-up or a station wagon to carry walker gear. 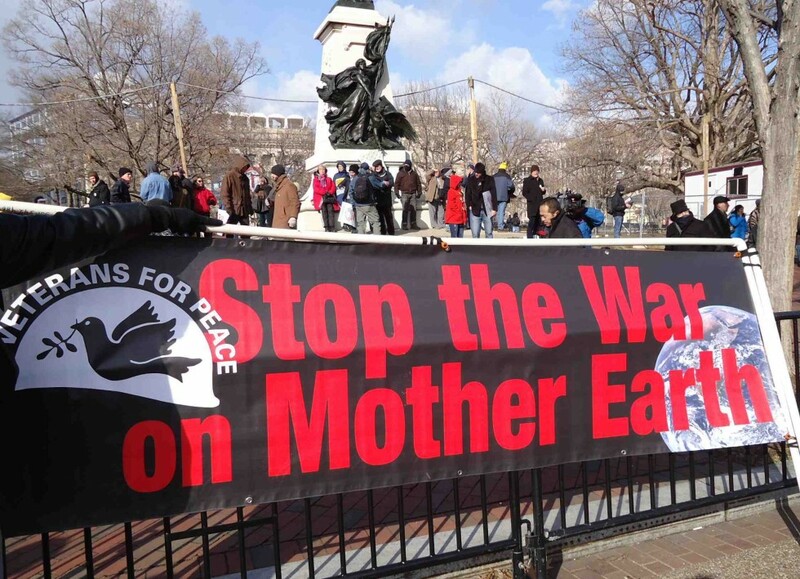 Walk Sponsors: We will invite national Veterans For Peace to be a co-sponsor as well as Maine VFP (Chapter 001 and the Bangor chapter) as well as Boston-area VFP. We will also invite other peace, church, and environmental groups in the state to be co-sponsors. We will ask all co-sponsoring groups to make donations (of their choosing) to the walk fund to help us cover costs. Next Meeting: The next walk planning meeting will be held in Bath (212 Centre St) on Saturday, Feb 27 at 12:30 with a pot luck lunch. The BIW Lenten Vigils will be going on during that period so we invite folks to come at 11:30 am for that hour-long vigil on Washington Street at BIW before our meeting. All are invited to attend the walk planning meeting. Proposed Walk Budget: Here is an estimated budget for the walk based on past experiences.